In December 2012 Tang Hall found out it had been selected to be part of a very special National Lottery funded programme. 150 areas in England were chosen to allow residents to decide for themselves how to spend their money – often called Participatory Budgeting or Community Lead Local Development (CLLD). York were in the third and last wave, benefitting from early lessons learnt in other areas. Local Trust is the organisation looking after the Big Locals and is responsible to the National Lottery for the spend. What does Big Local want to see happen? build a stronger community where we all feel a sense of belonging. We invite community groups to join our directory. See the link for details of how to register. Since 2015, we have been building a relationship with the local community, by providing helpful advisory and support services, creating opportunities for the community to grow, by putting on events, festivals and film screenings, supporting social, educational and recreational projects through small grants, and commissioning large projects, such as Youth Provision, The Tang Hall Food Cooperative and Social Prescribing. To find out more, please visit our timeline. Collecting gazebos for our Family Festival! 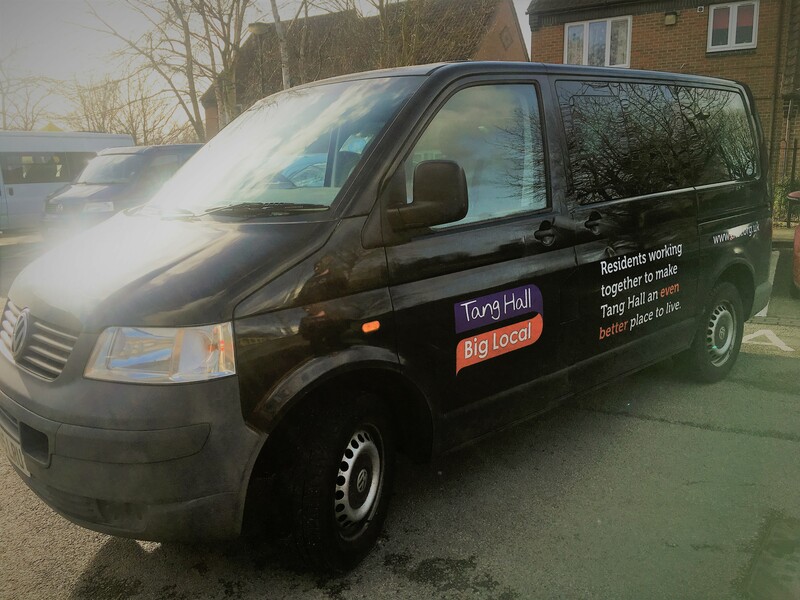 If you see Barry round and about the local area, give us a wave!